Hide your Savio Skimmerfilter lid with a natural looking faux stone cover. 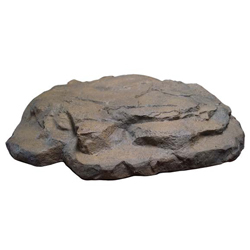 Provides natural camouflage in the shape of a realistic granite outcropping - made with impressions taken from actual stone! Color is chemically bonded to polyurea substrate for superior UV fade resistance. Rough textured surface readily accepts paint.